Chest pain and/or pressure. This is of particular concern if the pain or pressure radiates to another area, like the arm, jaw, shoulder blade, etc. The PDE5 inhibitors Viagra, Cialis and Levitra, were originally created to treat patients with cardiac disease. Their creators stumbled upon something with some beneficial side effects. The problem with PDE5 inhibitors is that they interact with other cardiac drugs that cause a similar action in the body. Nitrates, including nitroglycerin (Nitrostat, Nitrolingual, Nitro-Dur, Nitro-Bid, Minitran, Deponit, Transderm-Nitro), isosorbide dinitrate (Dilatrate-SR, Isordil, Sorbitrate) and isosorbide mononitrate (Imdur, ISMO, Monoket), or recreational drugs such as amyl nitrate or nitrite (“poppers”), cause blood vessels to dilate, increase in size and carry more blood with less resistance. Nitrates help heart muscle work less hard while allowing more blood to the muscle tissue, which means patients experiencing heart-related chest pain (angina) may take nitroglycerin to make their pain go away. PDE5 inhibitors work in a similar way. Unfortunately, when you mix PDE5 inhibitors and nitroglycerin, the effects can double or triple and cause a sudden dangerous drop in blood pressure. The combination of these two types of drugs is so dangerous that the American Heart Association suggests patients should not take nitroglycerin within 48 hours of taking PDE5 inhibitors. Before you ever take a PDE5 inhibitor, you need to have a conversation with your doctor to understand the interaction between this class of medication and other medicines you may be taking. Taking Viagra, Cialis or Levitra with a nitrate medicine can cause a serious decrease in blood pressure, leading to fainting, stroke, heart attack or death. If you have any of these conditions, you may need a dose adjustment or special tests to see if you can safely take Viagra, Cialis or Levitra. A nuclear stress test lets doctors see pictures of your heart while you are resting and shortly after you have exercised. The test provides information about the size of the heart’s chambers, how well the heart is pumping blood and whether the heart has any damaged or dead muscle. Nuclear stress tests can also give doctors information about your arteries and whether they might be narrowed or blocked because of coronary artery disease. If there is decreased blood flow, usually because of blockages, less uptake of the radioactive substance is seen on the images. Please note that the radioactive substance is well-tolerated and relatively safe if total lifetime exposures are limited. For more information on nuclear stress tests, please click on the Services tab, then click on Stress Testing and Nuclear Cardiology. Atrial fibrillation is a heart arrhythmia that results in an irregular, often rapid heartbeat. The small chambers of the heart, the atria, do not contract normally due to the presence of an erratic, disordered series of electrical stimuli. The heart is no longer controlled by the natural pacemaker, the Sino Atrial (SA) Node, but rather by many rogue stimuli. The Atrio Venticular (AV) Node, the relay station for signals traveling from the top of the heart to the bottom (ventricles) may fail to filter most of the many electrical stimuli coming from the top of the heart, thereby allowing the heart to race. Atrial fibrillation needs to be evaluated and treated, as not only does it pose the risk of complications from chronic tachycardia (high heart rate) but it also poses a risk of stroke. The small chambers of the heart do not contract but squiggle like a bag of worms. This leads to stagnation of blood, which could lead to formation of blood clots in the heart. These clots can potentially migrate out of the heart and travel to the brain through the arteries, thereby causing a stroke. The same clots could bypass the heart and go to other vital organs such as the intestines, kidneys, etc. (greater than 100 beats per minute)? Please read the first FAQ, Signs of a Heart Attack. If you have additional symptoms, you need to be evaluated, as this is potentially dangerous. Check if the heart rate is regular. An irregular heartbeat needs to be evaluated as soon as possible. Please see the Atrial Fibrillation FAQ, above. If your tachycardia is not associated with any other symptoms, make sure you are taking your medications as prescribed. Some heart medications that lower your heart rate can cause a rebound effect (increased heart rate) if you stop taking them abruptly; so please don’t let your prescriptions run out. Tachycardia can be caused by fever, so take your temperature. Tachycardia can also be caused by dehydration. Caution should be taken, because severe dehydration can lead to kidney damage. There are a multitude of other causes of tachycardia that must be evaluated by your physician. HOW DO I REACH MY DOCTOR? Office hours are Monday – Thursday from 8am to 5pm and Friday from 8am to 12pm. After hours, our doctors can be contacted via the answering service. Call the office at 972-612-4730 and, depending on the time of your call, you will be connected to the office or the answering service. 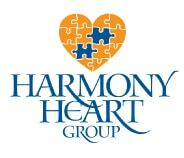 Harmony Heart Group also employs a nurse practitioner who sees patients and is readily available to answer questions and assist you in any way possible. She is licensed and credentialed to diagnose diseases, prescribe medications and play a large role in patient education. Her name is Susan Devers, RN, CNS, ANP. WHAT TESTS ARE AVAILABLE IN YOUR OFFICE? EKGs – A brief surface tracing of the electrical activity of the heart, used to diagnose coronary disease and other cardiac issues, such as arrhythmias, etc. Holter and Event Monitors – a wearable monitor attached to the body, much like an EKG would be; can record electrical events of the heart for up to a month. Typically used to find abnormal heart rhythms. Echocardiograms – noninvasive ultrasound test of the heart which can show the structure and function of the heart muscle, valves, etc. Stress Echocardiograms – an ultrasound test of the heart performed before and after exercise on a treadmill to diagnose lack of flow to the heart muscle. Nuclear Stress Tests – another method of imaging the heart in a noninvasive manner before and after exercise for purposes of diagnosing lack of flow (ischemia) to the muscle. Screening for PVD (peripheral vascular disease); Ankle Brachial Indices (ABI’s) – a noninvasive method used to screen for evidence of arterial blockages in the legs; utilizes comparison of blood pressure levels in the arms and legs. Treatment for Varicose Veins – multiple methods for closing both the large and small varicose veins that trouble many people. Advanced lipid testing and testing for inflammation. Most insurance plans are accepted. They are listed under the New Patient Information tab. Then click on Insurance Providers. Please contact our office to verify your coverage. Our billing service can be reached at 888-280-8144.